Most of us are used to enjoying a glass of milk in the morning. 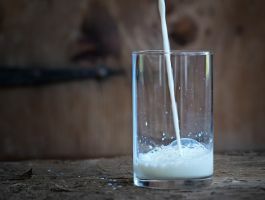 However, do you know about the benefits of drinking milk at night? We explore the advantages of consuming this breakfast staple in the evening right before bed, instead of breakfast. Let’s see what it can offer. Milk is one of the health drinks that our parents make us drink when we were kids. It’s designed for better development of our bodies. And it often considered an important part of a healthy diet. For some, even if it is in liquid form, milk is also considered as a complete meal. It contains a variety of minerals and vitamins providing almost all the required nutrients the human body needs. It is a good source of energy and protein. One 8 oz. glass of milk contains 8 grams of protein. This is in the form of a complete protein, where all the essential amino acids are present. and vitamin B12 (18% of RDA). and selenium (13% of RDA). Milk has its benefits realized it if is taken at night. It not only provides you with the nutritional benefits listed above but also helps you get a good night’s sleep. Below are the reasons that you should take a cup of milk at night. 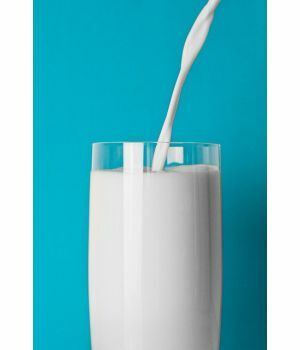 Drinking a glass of milk at night before bed will help in calming down your mind and sleep better. After a long hectic day of work, a nice way to reward yourself and your body is to get a good night’s sleep. Good quality sleep will replenish the body of its energy levels. And, it allows the mind and body to escape from the day’s stress that you might have been exposed to. Hence, one should always try to maintain a regular sleep cycle. Another benefit is that dairy products like milk are rich in the amino acid tryptophan. Tryptophan is a compound that helps in the production of serotonin and melatonin, the sleep hormones. These two hormones are chemicals in our brains what signal our bodies to start feeling sleepy. In ample amounts they help us fall asleep and get better quality rest. In low amounts, we wake up or have difficulty sleeping. Melatonin is a natural hormone that can be viewed as an internal body alarm system. It works by lowering body temperature to bring about drowsiness when it is the time to sleep. Melatonin also regulates the sleep cycle, which helps our bodies in determining the time to be awake and time to go to bed. Another benefit is that it helps one to reduce tiredness or fatigue. When milk is taken at night it helps reduce tiredness and also helps induce a good sleep. 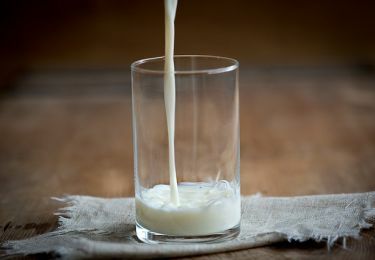 A glass of warm milk at night will help you relieve that feeling of being fatigued. It also improves your physical and mental capabilities. Hence, improving your mood and give you more energy to face another day with energy and vitality. Another useful benefit of having milk at night is that milk will improve your digestion. The compounds in milk allows it to help in regulating our bowel movement. It will help reduce digestive problems such as constipation. However, do note that an exception to this is if you’re lactose intolerant. If that’s the case, you’re better off staying away from milk, at least milk that’s from dairy sources. Boosting our immune system is an added bonus that a glass of milk in the evening brings. Everyone wants to enjoy good immunity. And for our immune system to be resistant to many ailments, you need to consume the right foods. Milk is belongs to that group of foods. One of the biggest advantages of drinking milk at night is better nutrient absorption. We drink milk for its calcium and vitamin D content. It’s one of the richest sources of these two nutrients. 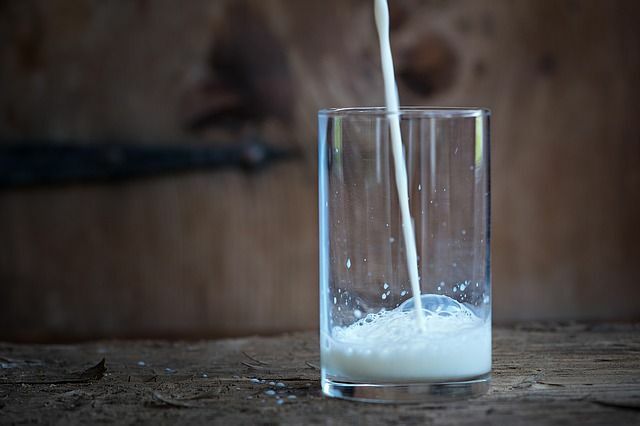 At night because the body experiences low activity levels, it makes it optimal in absorbing the nutrients from milk, specifically calcium and vitamin D.
Calcium is a vital mineral needed by our bodies. Calcium not only provides protection against cancer and cancerous chemicals, it helps prevent arthritic conditions and migraines. Most importantly, it wards off osteoporosis and fractures. Calcium is essential for our bones. They provide the building blocks for our skeletal structure. In addition, calcium also helps maintain healthy teeth and protects by reducing tooth decay. Milk has a protein called casein that in abundant portions. This protein has a feature that it is slowly digested as it forms a jelly like structure. If milk is taken at night it will keep providing the body with adequate energy all night for a good sleep. This protein is also very helpful in body building, if you’re into that. The full benefits of casein protein are enjoyed when milk is take at night. Its slow absorption is optimal for the long slumber time we spend overnight. Food & Nutrition, General Health, Health Issues, Weight Loss. permalink. Are Energy Drinks While Breastfeeding Safe? Smoothie Only Diet: Is it Good for Weight Loss?